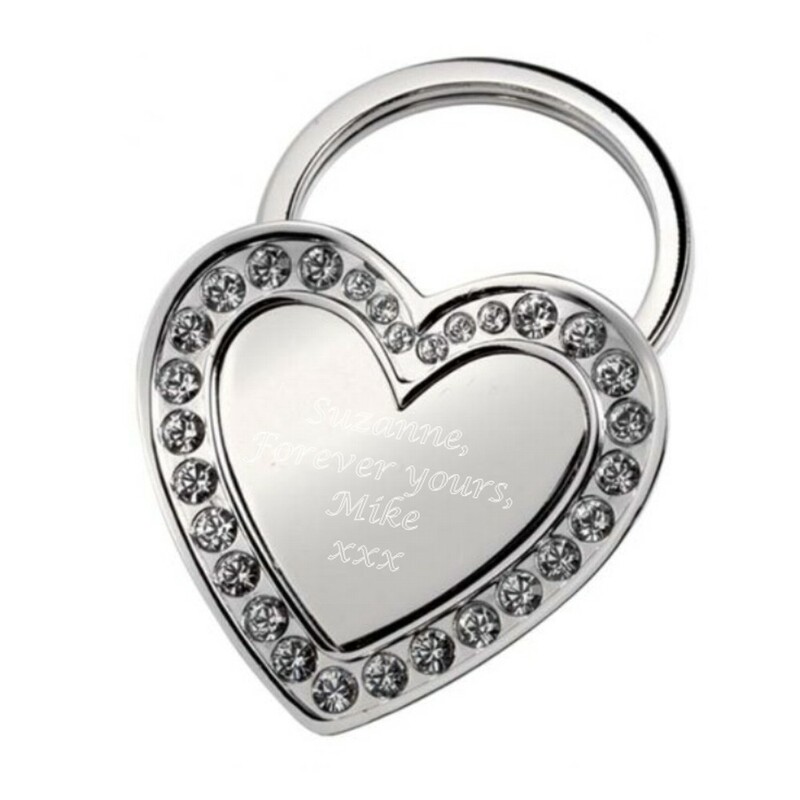 Personalised Engraved Stainless Steel Highly Polished Heart Keyring with Crystals. Personalise this beautiful keyring with your text, all your engraving goes on the front of the keyring. The keyring is fastened to the central reverse of the heart keyring. This unique gift measures 85 x 50 x 10 mm. Length includes the keychain.